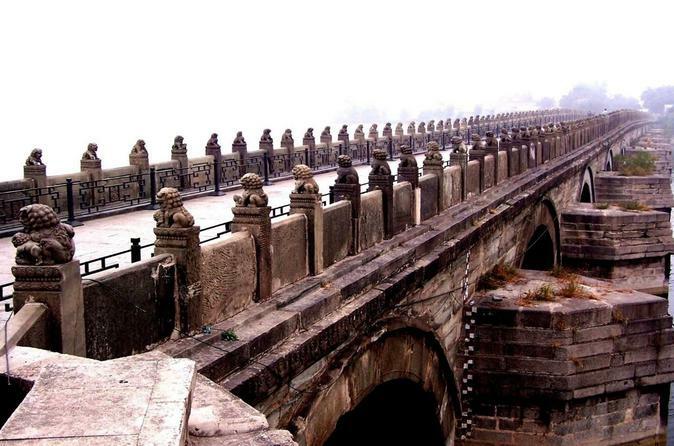 The Marco Polo Bridge across the Yongding River was first built in 1192, and then again in 1698 following damage during flooding. 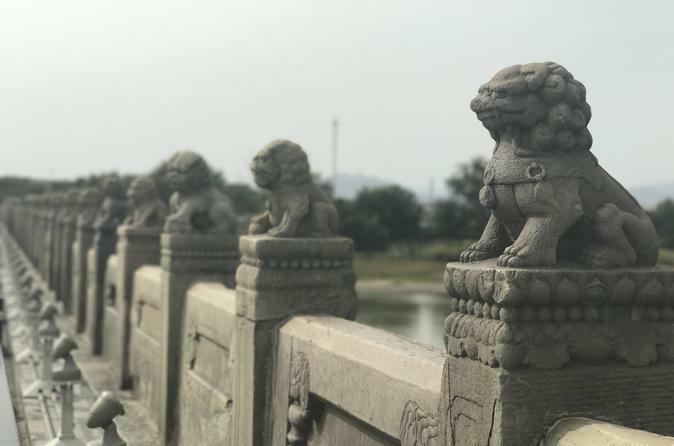 The Marco Polo Bridge across the Yongding River was first built in 1192, and then again in 1698 following damage during flooding. 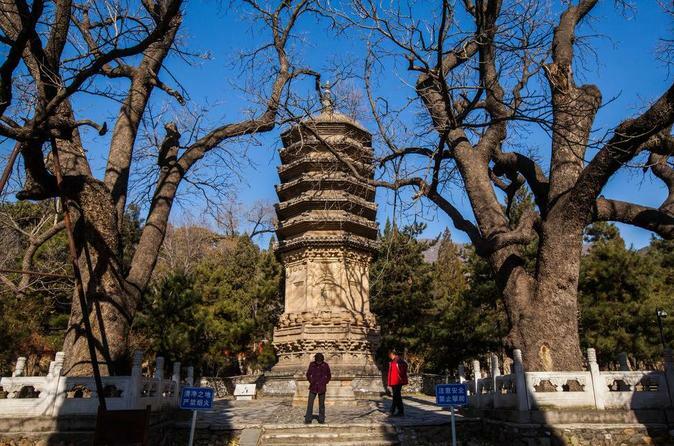 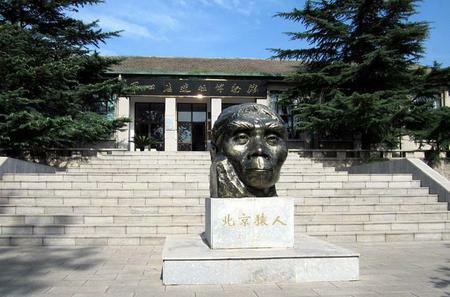 The oldest existing multi-arched stone bridge in the Beijing area, it gots its name from Venetian traveler Marco Polo who praised the bridge which is locally known as Lugou Bridge. 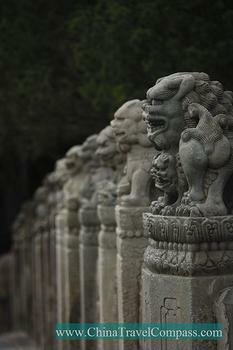 The 280 pillars supporting the granite bridge are topped with stone lions, and the ends have 4 ornamental columns around a marble stele. 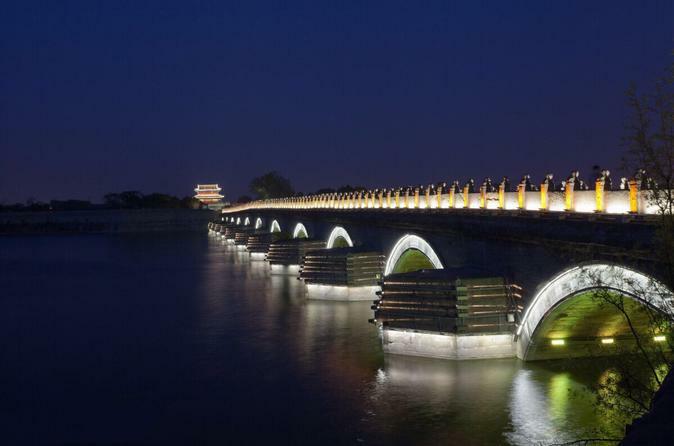 The bridge is the site of the July 7 Incident in 1937 in which Japanese and Chinese troops exchanged fire, which sparked the War of Resistance against the Imperial Japanese Army.